Starting from the launch of your online business, the main objective is to make your brand well-known in the digital space. This can be much tougher than you think, considering the daunting competition out there. Another key challenge lies in the fact that you are not physically connected with the potential customers; the connection is just a virtual one. So the big question is about what you can do to generate brand awareness and establish a direct connection with your customers. Digital marketing is the right solution as it goes much beyond taking your website to the top of search rankings, driving traffic and increasing the sales. It is also capable of enhancing the exposure for your brand so that more people know it better, recall it and recommend it as well. However, this is possible only if you are adopting the right set of tactics to elevate your brand. Let us list the tactics that you can apply for fine-tuning your digital marketing strategy to drive brand awareness. Content is perhaps the most effective way to get connected with your audience as it conveys your brand’s persona to them. Whether it is on the website pages, online blogs or social media channels, good content has the ability to connect with the audience everywhere and every time. Beyond this, it also lifts the search rankings of your website and enhances the online visibility of your business brand. Essentially, quality content serves as the life blood of your business and delivers sustainable results, even if it might take some time to show them. At the same time, it also comes ahead as a cost-effective strategy when compared with other paid marketing strategies. All that you need to do is churn out good content and deliver it across various online channels. 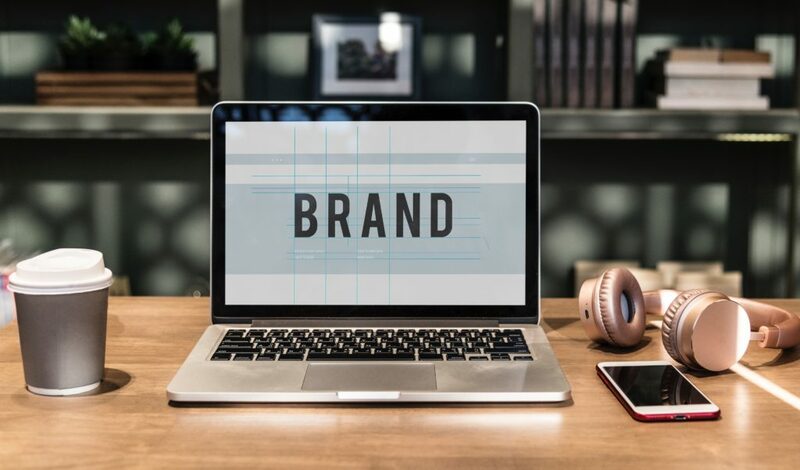 Whether it is content or any other form of communication with your target audience, you need to add a personal touch to make your brand recognizable. Unless there is warmth and personalization in the way you communicate with them, establishing a connection is completely out of question. Because you are selling online, you need to think beyond service with a smile approach. Here again, personalizing your digital marketing strategy will do the trick for you. Start by gathering data related to their browsing and shopping behavior as it can give you fair ideas about the users’ demographics and preferences. Once identified, send personalized offers and product recommendations. Wish them on special days and keep in touch. Personalization makes them feel good and they tend to remember and recall your brand. When it comes to branding online, nothing is as important as being visible on the top of search rankings. Having a well-defined Search Engine Optimization plan is the key as it can get you up there and enables you to sustain the rankings well enough. This is possible only if you have a team of seasoned SEO professionals looking after your brand’s digital presence. SEO is a tedious job as it is not just confined to genuine content that is optimized with the right keywords. The continual algorithmic changes make it very challenging as you always need to be on your toes. Further, you need to make sure that your website is responsive and optimized for mobile so that you brand is able to reach the target audience through both the web and mobile channels. Influencers are the industry experts who are trusted to the extent that people take their word while making their purchase decisions. They may be running a blog or making an impact through social media. If you want to get your brand the popularity it deserves, connecting with an influencer can take you in the right direction. Establishing a connection with them may be as easy as convincing them to publish your post on their blog. Some influencers charge money to endorse your products on their Twitter or Instagram accounts. Even if you may have to pay for implementing this strategy, it can get you a considerable brand leverage considering the huge follower base that influencers usually have. Social networking has emerged as one of the most powerful strategies for creating brand awareness because social media is where the buyers actually are. The idea is to identify the channels that are frequented by your audience and reach out to them with valuable and share-worthy content. Instead of focusing on sales, prioritize the propagation of your brand. The most important thing is to create compelling posts the drive the users to share them across their personal profiles. Kevin Buckley from Falcon Digital Marketing explains that Pinterest, as well as other forms of social media, are successfully used by marketers to create brand awareness and interest in a product. Another digital marketing strategy to make your brand recognizable is email marketing. For acing this tactic, you need to build an email list comprising genuine leads that have high chances of converting subsequently. Here again, it becomes essential to keep track of the prospects that have shown genuine interest in your products or services once or more. Once you have a list ready, the next step is to prepare juicy mailers that are effective enough to impress them in one go. These may be simple greetings, product recommendations, offer information or even blog post links. Diversity is the secret to holding the audience and keeping them waiting for more. Further, good content can effectively create trust in your brand and make the audience come back to it. No business can strengthen its brand’s presence unless it offers a consistent picture everywhere. Whether it is about brand logo, signature colors or tag lines, ensuring that these are same everywhere helps the potential buyers in recognizing and recalling it every time they see it. Be it a brick-and-mortar shop, an online store, a social page or a mobile app, maintaining the same look everywhere helps. Maintaining brand consistency is a tough task if you are running a multi-channel business. But the design part can be easily handled by expert brand marketers and professional designers who understand the significance of design in branding. Stick to the basics that you have once decided for picturing your brand and replicate them everywhere. While you can have a professional digital marketing team on building your brand’s presence, leveraging your audience is a smart idea. The catch lies in encouraging your customers to become loyalists by propagating your brand as much as they can. The first step is to get them share your social posts to extend your reach across their network. Another good idea is to ask them to share referrals with people they know. You can incentivize them by giving a special referral bonus every time a new customer joins your brand due to their recommendation. Not only does this strategy boost sales for your business, but also build trust in your brand because people trust real customers more than they trust brands. A lot has been said about engaging content that crafts stories to create a direct impact on the customers. Storytelling is much more than weaving product stories through textual content. Smart marketers polish product stories with the help of images and videos that add value to the text and make it far more interesting as well. Videos also bring authenticity to the content as people tend to trust what they see more than what they read. Also, they give them the opportunity to the buyers to witness your brand’s personality and culture, besides having a good look at the products you offer. This facilitates trust and transparency, which is a key driver of brand awareness. Even though businesses would prefer to take up free strategies to push their brands’ presence online, spending a little once in a while can bring amazing results. For example, Facebook advertising can unlock a huge opportunity for your brand to extend its reach to a great extent. Gradually, you will realize that it is a small price to pay when compared to the huge benefits it fetches. The best part of paid advertising strategy is that you can use a targeted approach with it. You can select a specific geographical area, age group or gender to connect with a specific set of users with a targeted ad. This means that you reach out to qualified leads instead of wasting your ad spend on a wider segment of audience, a majority of which is not likely to connect with your brand in the future. These tactics make an amazing mix for businesses that want a solid brand presence within a minimal time span. Beyond just building your brand’s awareness, they can strengthen the trust of the targeted audience in it so that they stay with you forever.